The Rider/Elephant/Path model comes from a book by Dan and Chip Heath called Switch: How to Change Things When Change is Hard. It is one of the simplest and most useful models for successful change. It is also a useful motivation model. The logical Rider and the emotional Elephant represent your head and heart. Both must believe the action or task is worth the effort. We must ensure that the action is logical and that it speaks to your heart. Lastly, we want to create a structure to keep yourself on track; the structure is our Path. We create the Path by finding ways to hold ourselves accountable for the action. Let’s go over each part. Rider. First, we want to convince the logical Rider that this action or task makes sense. We want to do research, listen to experts, and ask others how they handled a similar situation. Our logical Rider must believe that the way we are heading makes sense. Let’s look at an example. With coaching clients, exercise is often the action that they want to do but can’t seem to stay motivated to do. We start by reminding our logical Rider about the benefits of consistent exercise. We will be stronger, fitter, and healthier. We will have more stamina, more energy, and a more positive outlook on life. There are a lot of logical reasons to exercise regularly! Elephant. Second, we must motivate our emotional Elephant. The Elephant is not moved by logic; it follows its heart. Your deepest heartfelt motivation will be the reason that your Elephant agrees to move along the path. Finding the vision that motivates our hearts can take some digging. We talked about one technique here: https://kathystoddardtorrey.wordpress.com/2015/01/19/goals-big-why-and-little-hows. We ask ourselves why we want to do this task over and over until we find a reason that really makes our hearts sing. In the exercise example, I might say that I want to exercise to stay fit. “Why?” I ask myself. “Because I will have more energy and stamina,” I answer. Then I ask myself, “Why do you want more energy and stamina?” My bottom line answer that sings to my heart is that I want enough strength and energy to keep up with my family and swing my granddaughter around. The ability to spend quality time with my family walking and doing useful tasks is my emotional motivation. As a matter of fact, I recently helped my oldest son and his family move from VA to NJ. In preparation, I worked up to walking two miles a day. (Remember, I have platinum coils in my brain, and two miles is a good goal for me.) I got up every morning and walked. I also did some abdominal exercises so that my back would be less likely to go out. (Remember, I am old!) Every time I wanted to slack off, I reminded myself that my family was depending on me, and I wanted to be a part of the activity. When done together, hard jobs can strengthen relationships and create memories that are funny in retrospect. All things that my heart wanted. 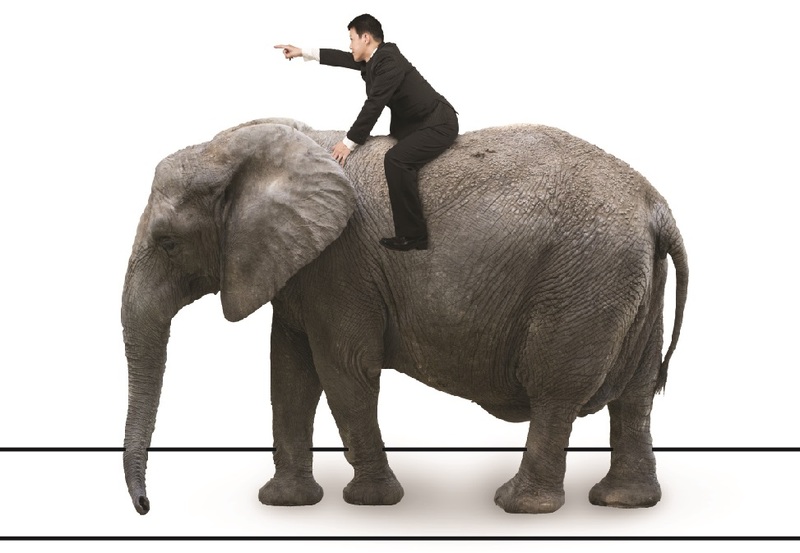 Keep in mind that the small Rider cannot force the Elephant to go a certain direction. We cannot be motivated by logic alone. We must feel in our hearts that the change is worth the effort. Path. Lastly, we want to create a structure for our Path. We want to clearly mark the Path and maybe put some walls on each side to help our Rider and Elephant stay on it. Accountability partners and coaches are excellent examples of how to create a clear path for the Rider and Elephant to follow. In my exercise example, a walking buddy would help me stay on the Path. A calendar with stickers offers a little structure. Publicly stating goals and progress is an excellent way to create walls to keep us on the Path. If we can’t find reasons for our actions that resonate with our brains and hearts, maybe we need to rethink the goal. We can only use our self-discipline to force ourselves forward for so long. It’s an exhausting way to live. However, we can stay motivated if we can find ways to get our brains and hearts engaged and supportive of our actions. We help all parts of ourselves to stay motivated when we create a clear path that uses accountability and consequences to keep us on track. The Rider/Elephant/Path model is an easy way to create success.